The 8th International Istanbul Prohunt Hunting, Weapons and Outdoor Sports Fair will be held on 02 - 05 May 2019 in Istanbul Exhibition Center. The exhibitors are already preparing their newest products and the organizers are already preparing to offer the most enjoyable events. Our fair, which brings the sector together under the same roof with its customers, will continue to dazzle. 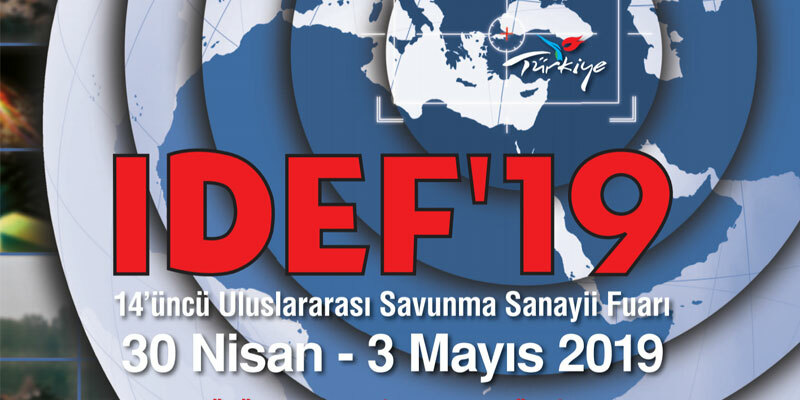 Under the auspices of the Presidency of the Republic of Turkey, hosted by the Ministry of National Defence and under the management and responsibility of the Turkish Armed Forces Foundation, IDEF 2019, 14th International Defence Industry Fair, organized by TÜYAP Fairs and Exhibitions Organizations Inc. will be held on between April 30 - May 3, 2019 at TÜYAP Fair and Congress Center in Büyükçekmece, Istanbul. The opening was done by Prime Minister of Republic of Turkey, Binali Yıldırım. IDEF 2017 hosted 133 delegations and 637 delegation members active in the defense field from 67 countries and 2 international organizations. 1 President, 26 Ministers, 6 Chiefs of General Staff, 17 Deputy Ministers, 5 Deputy Chiefs of Staff, 10 Force Commanders and 14 Undersecretaries and many civil and military procurement authorities was attended the Fair. IDEF’17 hosted 820 companies from 50 countries. Our authorities was allocated meeting offices to meet the delegations and participants from national / international defense industry institutions during the fair, establishing important commercial connections with them. 2.240 scheduled meetings and 50 signature ceremonies were realized during the fair. With the intensive attention of visitors, 65.782 domestic and foreign professionals from 116 countries visited the show.